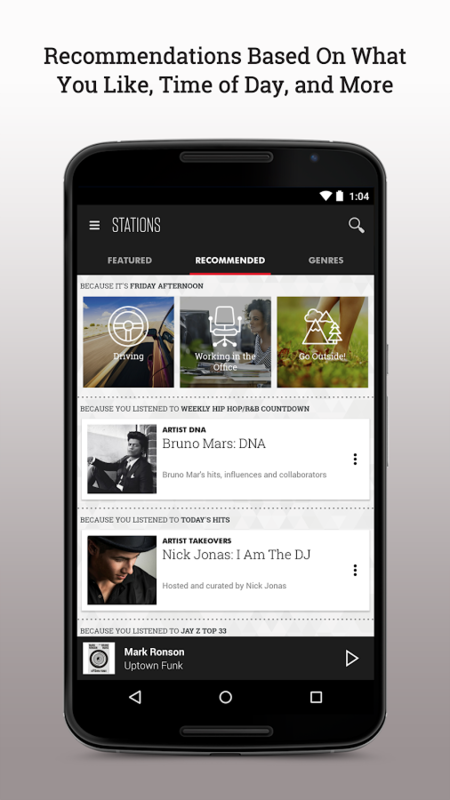 SiriusXM is a satellite/internet radio company, which has offered an Android smartphone app since 2010. The company has also embraced Android's other form factors - a Google TV app is still live on the Play Store. An Android TV version is now widely available, with seemingly no announcement from the company. 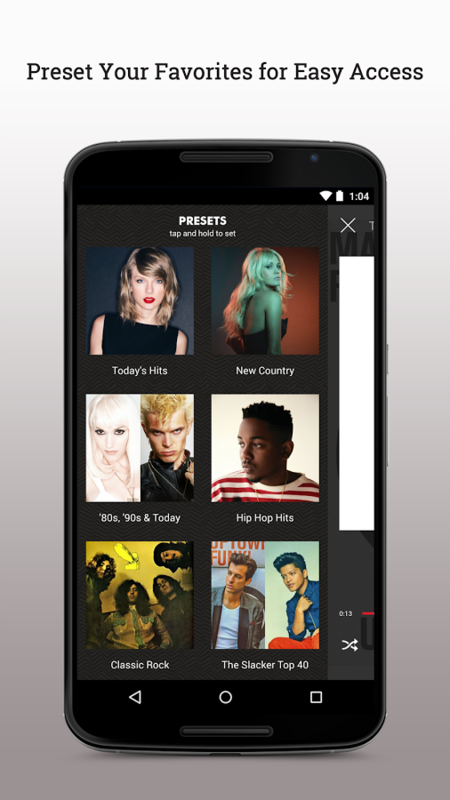 Slacker Radio's developers are no slackers when it comes to reinventing the app and redesigning it. 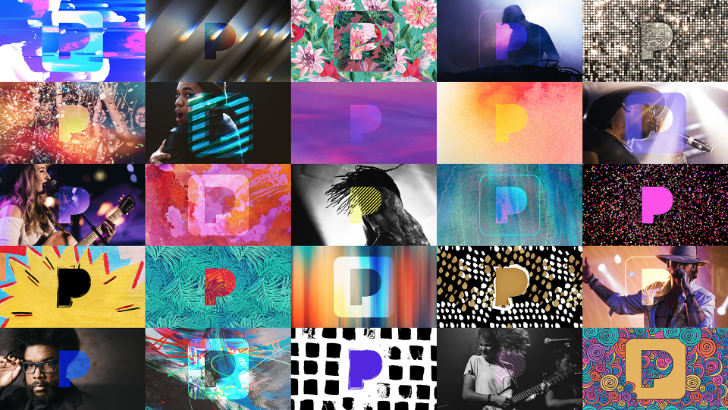 Over the last three years, they've gone through one and then two major redesigns, and now they're ready for the third along with a major update to their audio catalogue. You start with a song. Ten seconds in, you decide that this one isn't your style. 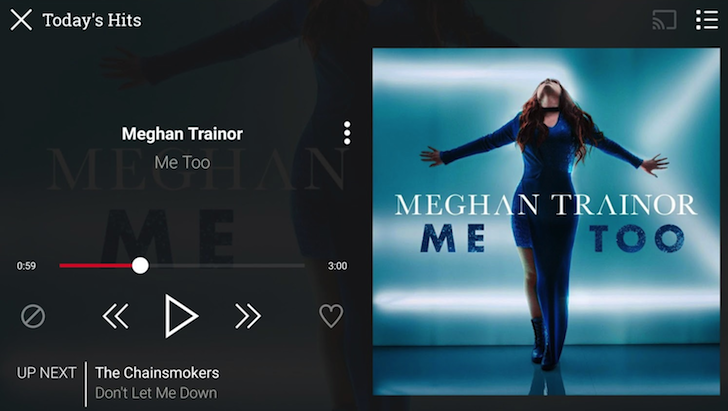 You give it a thumbs down, and the track goes away. Another song begins. You love it, and give it a thumbs up. You don't particularly like or dislike the next one, but you give a few of the songs after more approval. Then you create another station, and you start the process again. 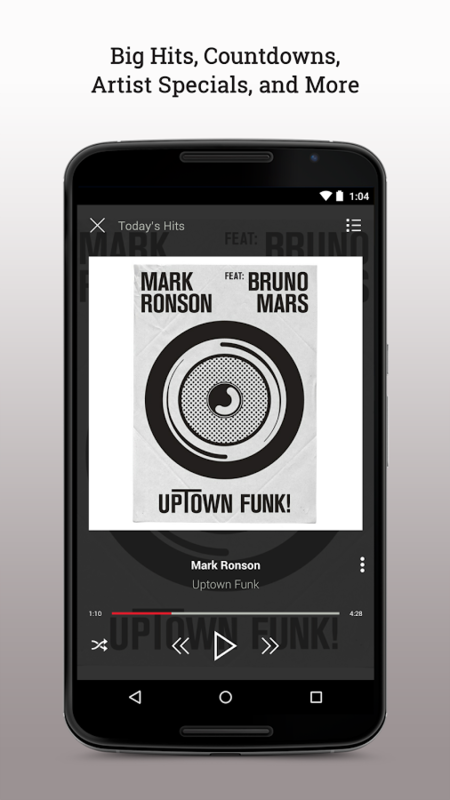 Today, there's no shortage of ways to stream music from your smartphone or tablet. 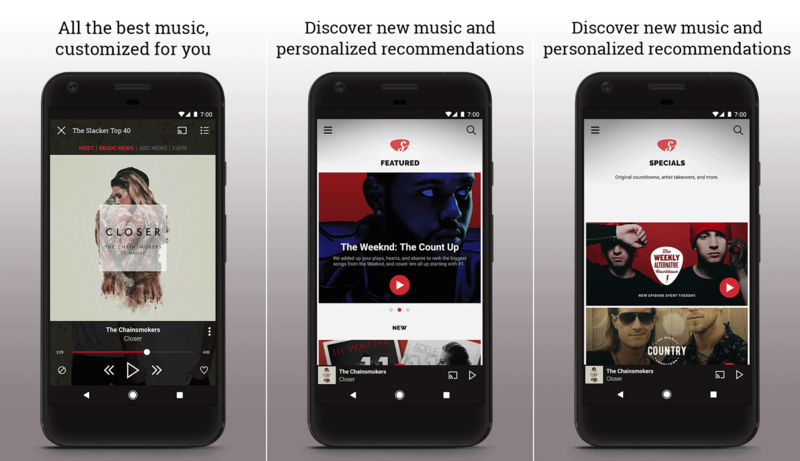 Apps like Pandora and Google Play Music make easy work of offering access to a plethora of tunes, but if you want the best experience either has to offer, you have to hand over a monthly fee. 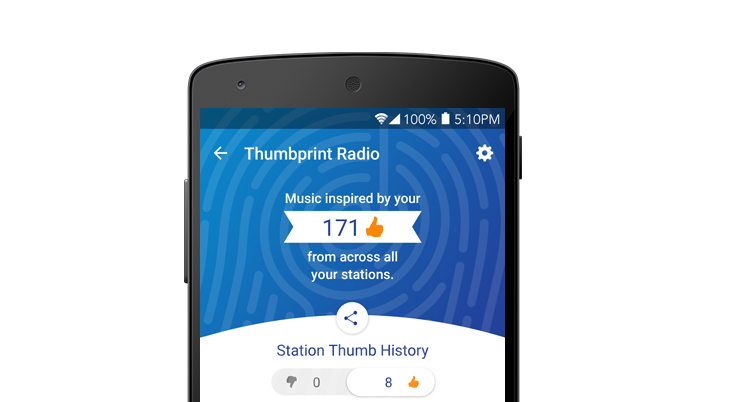 PlayTime Internet Radio from Handy Apps is a new app that brings access to over 50,000 internet radio stations to your mobile, completely free of charge. 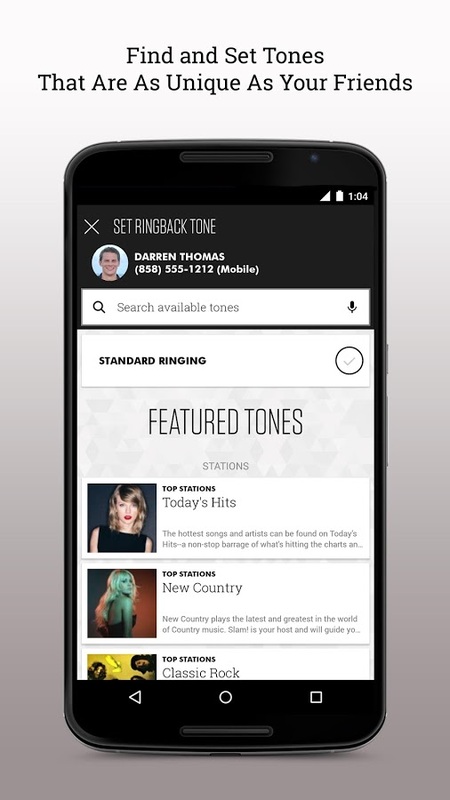 The app is broken down into several primary categories, including music, news, sports, and talk radio. From there, each category offers several different options, all of which are readily available online for free. Today Rdio announced a new subscription plan that serves as a more affordable option for listeners who want to get rid of ads but don't want to pay $9.99 a month. With Rdio Select, folks can do so for just $3.99 instead. What's the catch? Rdio Select gives you up to twenty-five songs at a time to carry around on your devices. You can keep them for as long as you're subscribed, but you need to remove songs once you're ready to add more. You can replace all twenty-five once per day. If this sounds bothersome, you're going to have to make the leap to Rdio Unlimited. Slacker isn't a music streaming service. Okay, it is, but it has a twist. Okay, I know, they all have twists. But Slacker isn't just about loading tracks. Think of it as Internet radio. 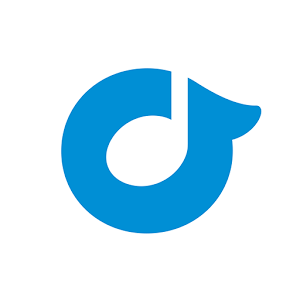 Pandora? No, no, it's nothing like that. Users create and customize their own stations, then—okay, I see what you're getting at. Let's start over. 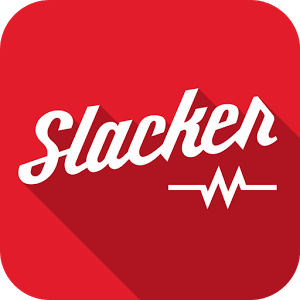 Slacker is a music streaming service, one of the many available in the Play Store. Today it's sporting a new look. The company has provided a redesigned app with a tweaked interface that's intended to point you towards better recommendations. 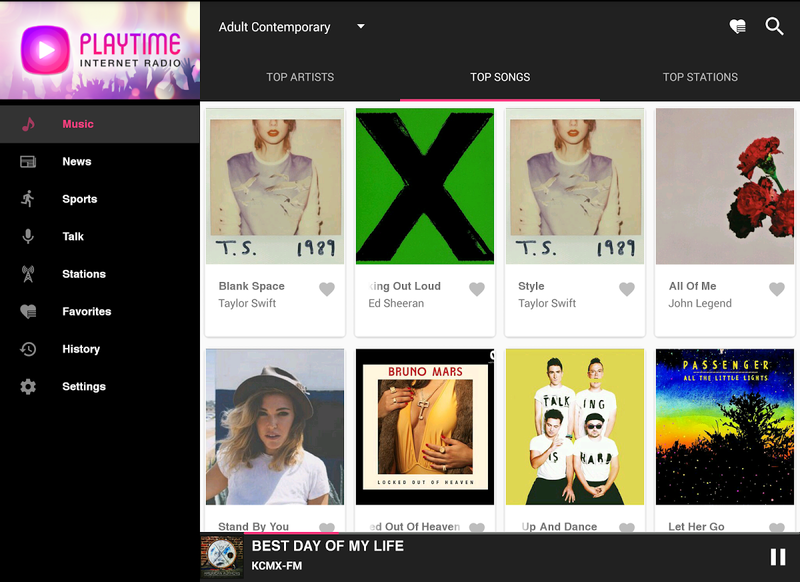 For starters, there's a "Today on Slacker" feed that highlights artists, albums, and stations that you might like.